Social media and teamwork – it is possible! Social media and teamwork – it is possible! Social media and teamwork – it is possible! “A groundswell is rising among your customers” and to understand this you have to listen to the conversations. All right! But that’s not so easy. Imagine someone tells you to listen to all discussions about shoes. Well, I guess that’s impossible – at least it seems when you have a first look at it. And it becomes both more exciting and complex once you decide to join the conversation. How to handle all these social media interactions? And how to handle this with a whole social media team? We believe we found the solution: HootSuite! Let’s see why. Believe it or not, but listening (or should we say reading) about shoes is possible. HootSuite, the social media dashboard, is a tool that enables you not only to manage many social media accounts but also to observe and order all the conversations connected with a given topic. For a long time we treated this as Hootsuites killer feature. 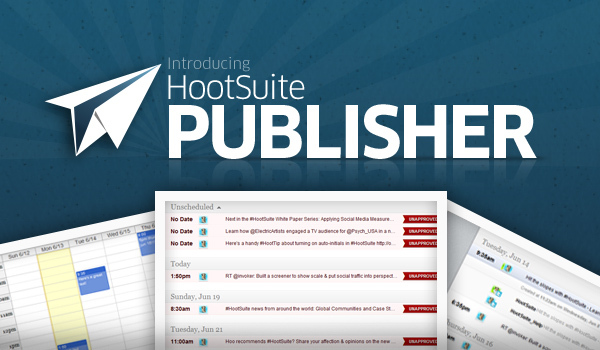 But it turns out that HootSuit has to offer even more, smart publishing together with the HootSuite Publisher. Together with the growing number of accounts we’re dealing with, our social media team also grew. 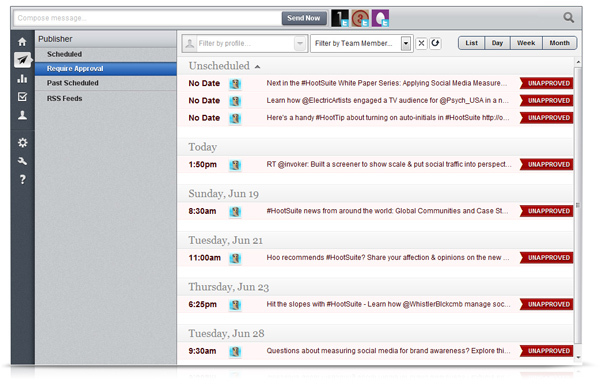 It’s like HootSuite read our mind. Let’s consider a situation, that a couple of people is managing multiple accounts on twitter – how will you exchange information about what’s going on there, what do you plan on writing or how will you comment on the planned tweets or publications? Of course, you can do it via e-mail, but what for? Now you have HootSuite Publisher! What does the Publisher give us? Tweets planning, tweets history checking and what’s the most important – the possibility of sending tweets to submit them for approval. Before we accept a tweet, we can change its content, links attached, sending date and hour or just delete all of it – literally all! The tool is extremely useful, it lets us save time we were spending on e-mailing, additional questions and agreeing. It’s enough to plan a couple of tweets and someone will accept them…. or not, obviously. Extremely useful, practical, magnificent tool! The only, small problem is that it works unusually slowly, just as any update really. Well, it leaves us with waiting for the speed to be improved and then the whole social media world will be a sheer pleasure!